If you are an active Twitter user, you probably have noticed that you can pin a tweet to your profile page. So the question is – How can you leverage it to maximize its efficiency? So therefore, here’s my “How to Pinned Tweet” quick and easy tutorial. 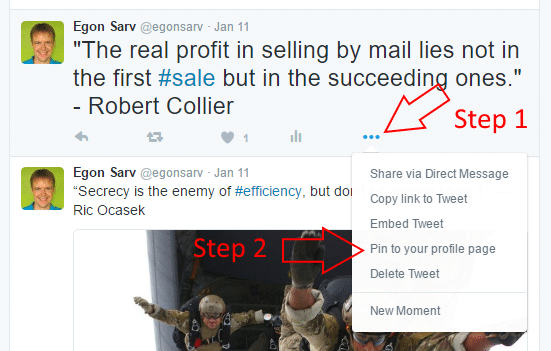 But first – Why a pinned tweet should be a must? And should it to begin with? Well… Because a pinned tweet is glued to your profile page, it can have tremendous visibility. Also, it is the very first tweet that your profile visitors see and read. So therefore, that sticky tweet gives you such an awesome opportunity to advertise yourself, your product or service. It’s like a digital real estate which you should exploit as much as possible. Pick a tweet that you want to pin to your profile and click on “three dot” (=More) icon below it. Refresh your profile page. Now the freshly pinned tweet should occupy the #1 position in your profile (and remain there until you unpin it or pin something else). Unfortunately, you cannot. Twitter has chosen not to allow you do that. Their game, their turf, their rules. Sorry! What you can do, however, is use some snipping tool, grab the tweet that you want to pin and turn it into an image. Then tweet and pin that image. There are two options for doing it. First, when you pin some other tweet to your Twitter profile page, you automatically unpin the older tweet. Click on “three dot” (=More) icon below the pinned tweet. Refresh (Ctrl-F5) your profile page. Now the previously pinned tweet should be gone (No! It is not deleted. It went back to where it belongs in terms of tweeting timeline). Pin your most retweeted tweet (or a tweet that has received most the most likes). 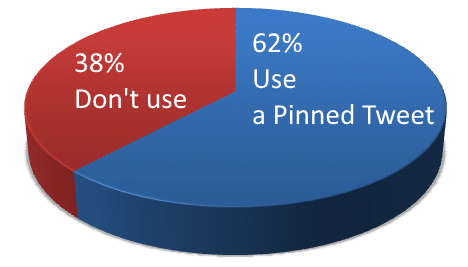 Pin an compelling question (fantastic way to get tons of replies). Once you have pinned a tweet you obviously want to know how it performs. Apparently, one thing is to follow the metrics like replies, retweets, and likes. These three are important but they don’t give you a full picture. 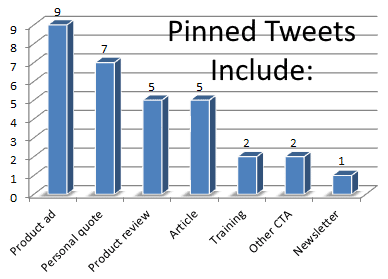 You need some more data to figure out which pinned tweet performs best (you have to test them one by one). So what do you think – which one of them performed better? Here you see how your best tweets have performed (you cannot see my tweets, though). Note! By default, you will see the tweets from last 28 days. You may want to change it. The second tweet gets a little more engagement but it has almost 3 times more impressions. So therefore, as you can see, the first tweet has a better engagement rate. See! With way fewer impressions the first tweet has achieved more link clicks. That’s how you can test different tweets and increase the efficiency of your pinned tweet. … I want to show you how TOP 50 Social Media power influencers use (if at all) their pinned tweets. So keep reading. What can you conclude here? 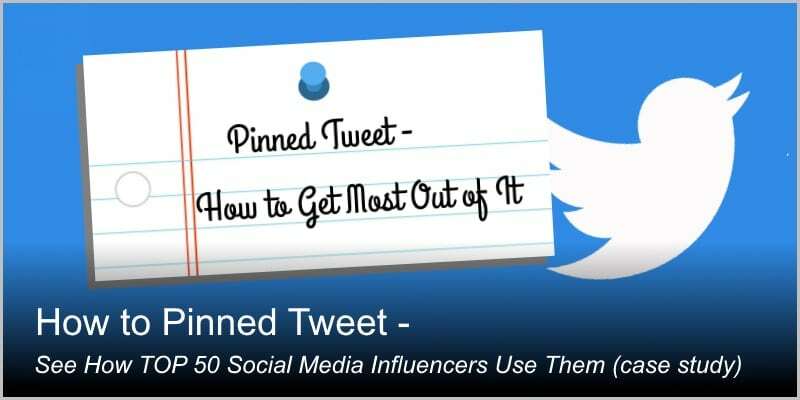 You can conclude that slightly over half of Top 50 influencers have found a pinned tweet useful. 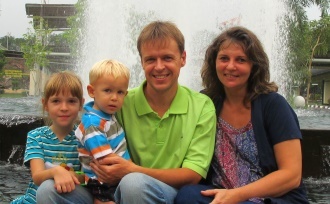 For the other half… well they seem not to care. Interesting, isn’t it? From the charts above you can easily see that 13 out of 31 pinned tweets (41.9%) are less than 6 weeks old. In fact, 22.6% of them are less than 2 weeks old. So what can you conclude here? Not much really, right? 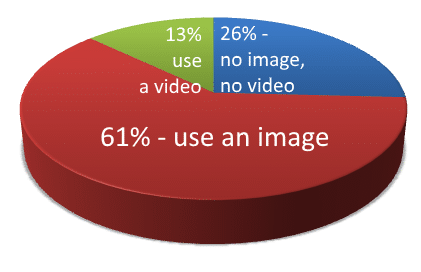 There is one – You can do pretty well without an image or a video. But, as you can see from the chart above, using an image is a wise move. 4. What Do They Tweet About? From here you can get a rough picture of the most popular content in the pinned tweets. These include product ads, personal quotes, reviews, and articles. 5. What About Replies, Retweets, and Likes? Considering the huge number of followers of these top 50 social media power influencers… well the following numbers are surprisingly humble, to say the least. For each metric – replies, retweets, and likes – I will give min, max, mean, and median values. In my opinion, median (the middle value) gives a better picture of the average value here. Out of all 31 social media power influenceres, 25 of them (80.6%) use links in their pinned tweets and 6 (19.4%) do not. Nobody, however, use more than one link in their pinned tweet. Chris Sacca have 3 mentions (see above), and the other two influencers both 1. 7. What About Link Clicks and Follows? This I don’t know. Why? Because Twitter does not give me access to this data. After doing my research I have come to a conclusion that a pinned tweet plays an important part of your online campaign. Especially because it has a high visibility and can be a great attention grabber. But at the same time (and to my great surprise) I also learned that a big part of top-notch social media influencers don’t bother to use a pinned tweet at all. Second, you have to thing carefully what do you want to achieve with your pinned tweet. Do you want to sell your product, or do you want to promote your latest (or most popular) review… Or you do you want to build your trust by giving visitors your personal inspirational quote…? Once you have answered to this question, you can compose your tweet, publish it, and then pin it to your Twitter profile page. So now that you have read my “How to Pinned Tweet” review, I am very interested to hear, what you do to increase the efficiency of your pinned tweet on Twitter? Don’t Have A Blog But Would Like to Have One? Or even more – would like to make some side money (or even second income) by running a blog? If you want to make a legit income online, then your blog (or website) is your online real estate. That is what you need. Get a beautiful, fully-functional WordPress blog for FREE. And yes – free World class hosting is included! Let me tell you, if you happen to be a complete newbie, then proper training and an excellent support team are a must. Without these two you probably won’t achieve breakthrough. So if you are serious, check my absolute #1 preference. It won’t cost you a bean to see whether it is OK for you or not. Try it right now!